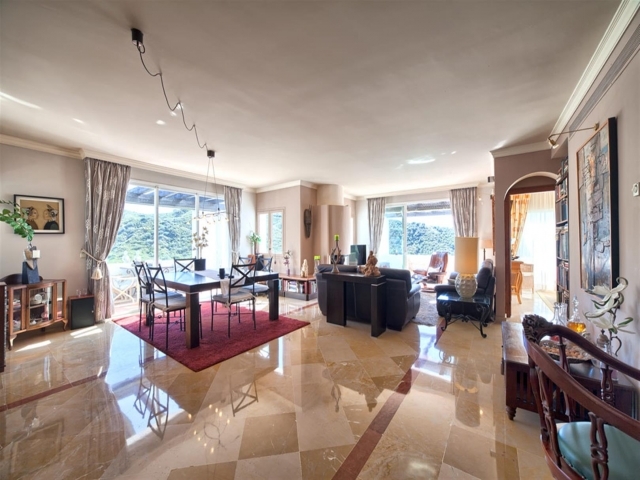 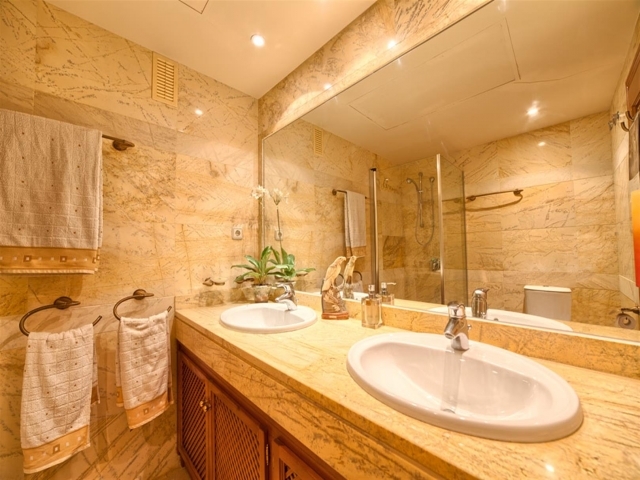 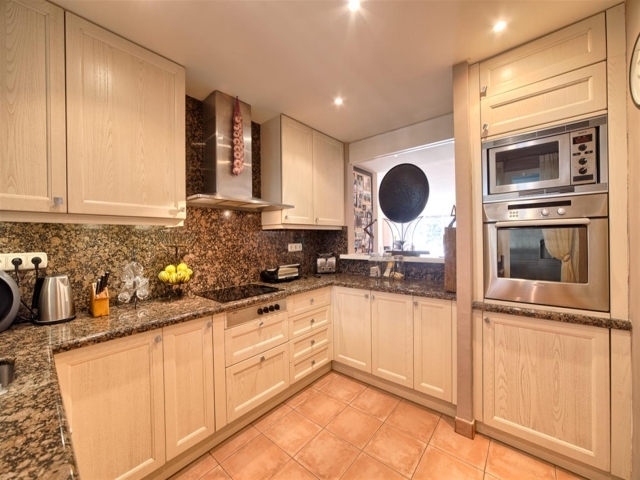 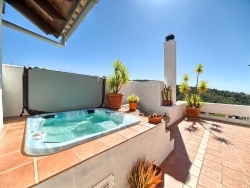 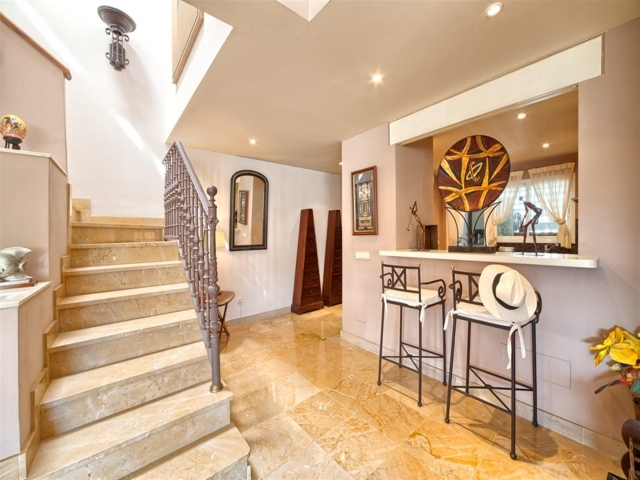 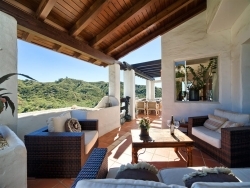 Beautiful 3 bedroom Penthouse for sale in Las Lomas de La Quinta. 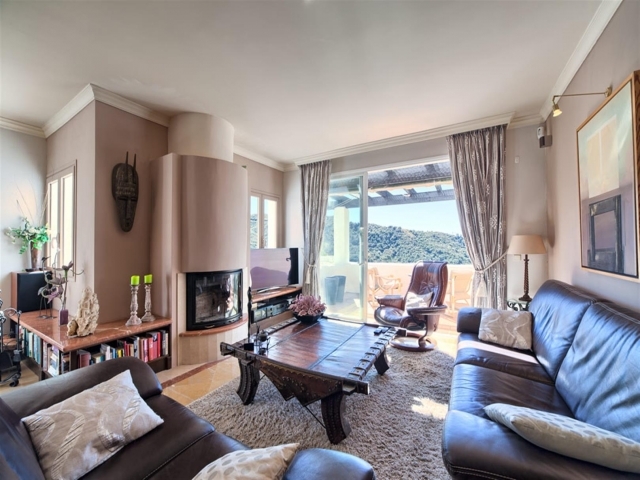 One of the biggest penthouses in the complex, corner unit with lots of light, terraces all around and panoramic views to the sea, mountains and golf. 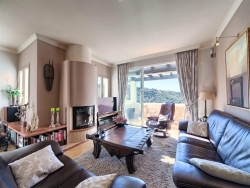 On the mainfloor you will find the large living area with fireplace and fully fitted kitchen. 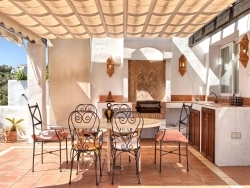 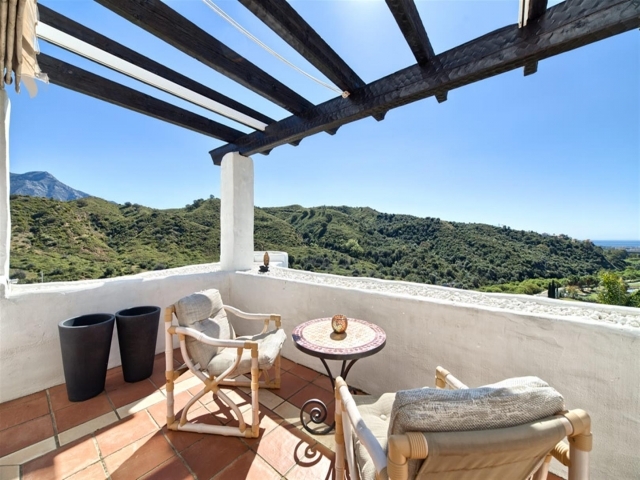 Direct access to several spacious terraces with fantastic views. 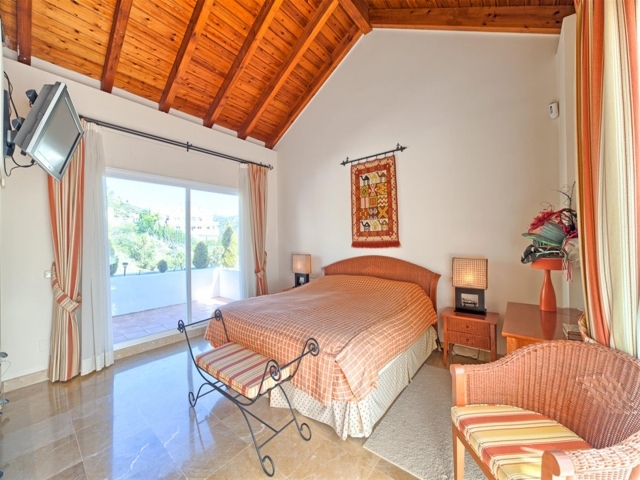 Two further guest bedrooms suite. 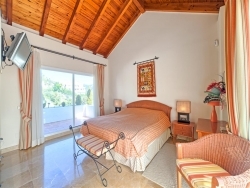 Upstairs is the Master bedroom suite, big terrace with BBQ area and jacuzzi. 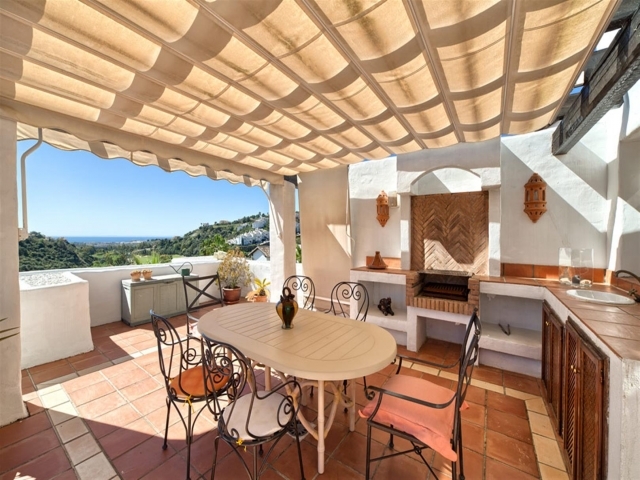 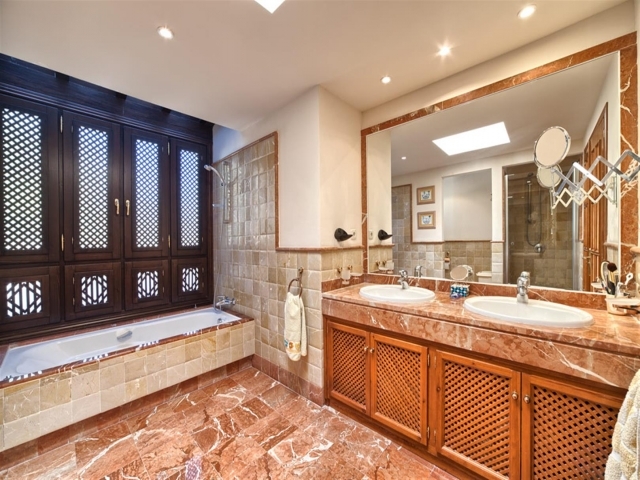 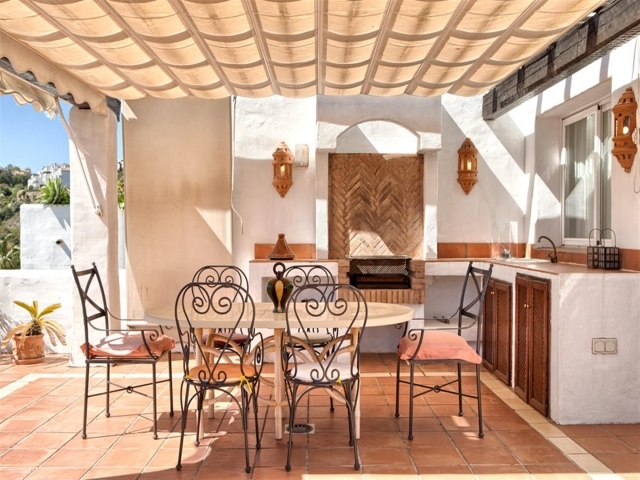 The penthouse enjoys extra features such as underfloor heating throughout except in the bedrooms, outside kitchen on the top terrace, electric shutters and alarm.